Like striking gold, you have the rare opportunity to own and live in a true hidden gem of St. Petersburgs "Historic Lang's Bungalow Court, Est. 1915. In the heart of downtown, a century-old bungalow community developed by St. Petersburgs former mayor, Al Lang created his vision to mimic the all-popular bungalow courts in Pasadena California. Nestled in this tight-knit community is 345 Lang Ct N, a truly charismatic 1920 craftsman bungalow. As you enter the home youll immediately feel the charm and how effortlessly it flows. The first level features a grand entrance outfitted with a wood burning fireplace, updated kitchen and an elegant dining room. The kitchen features a wooden butcher block countertop, white cabinets and farmhouse sink. Making your way upstairs, you will come upon the alluring master bedroom outfitted with a wood burning fireplace, outside balcony and bonus room. Also on the upper level is the second bedroom and bathroom. 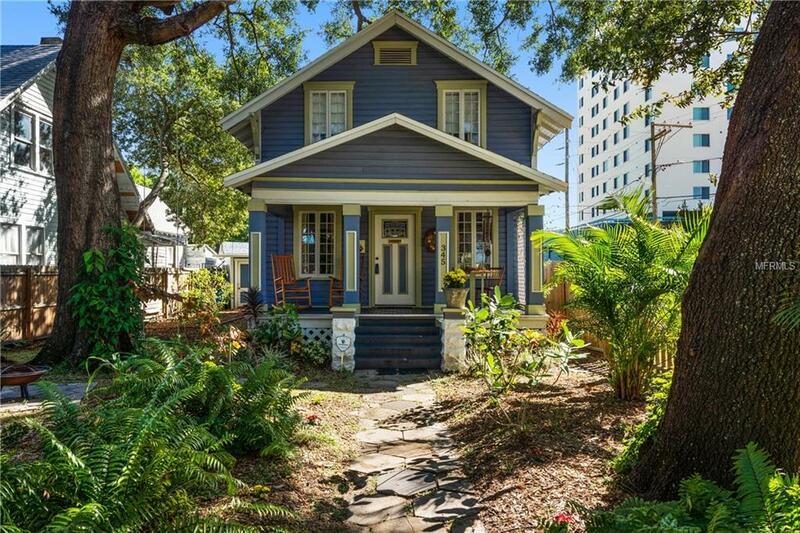 If being encompassed in downtown St. Petersburg and everything it has to offer, while residing in your own home tucked away in a peaceful neighborhood is what you are looking for, look no further. For a limited time, offering a FREE 1 YEAR HOME WARRANTY if purchased before 12/10/2018. This home is only available to the buyer who acts now!